Crystal Reed Is Returning to Teen Wolf! Fans who think Teen Wolf hasn’t been the same ever since Allison Argent died have something good to look forward to this season. Crystal Reed, who played Allison, is returning to the show! According to BuzzFeed, Crystal Reed will guest star in the current season of Teen Wolf in the episode titled ‘The Maid of Gevaudan’, which will air on the 23rd of February. However, instead of playing Allison Argent she will play the role of Marie-Jeanne Valet, the progenitor of the Argent family. Her character was supposedly the first to survive an attack by the beast of Gevaudan. The plot of the episode will have Gerard Argent telling Valet’s story to Scott’s pack so they can try and find the beast’s weakness. While the beast of Gevaudan didn’t appear in this week’s episode, you can be sure it’ll show up soon. Allison’s death was tough for me. Not because she died, but due to the fact she didn’t get a funeral. That’s why I liked Reed’s answer in her interview where she mentioned her character not having a funeral on the show being “a big bone of contention”. Another interesting thing in the interview was the possibility of exploring more of the Argents’ history. Scott McCall finding himself sandwiched between the Hale and Argent conflict formed the primary basis of Teen Wolf, but over the years the focus on the families started to lessen. I wouldn’t mind watching a spin-off focusing on the two families if MTV decides to produce one. 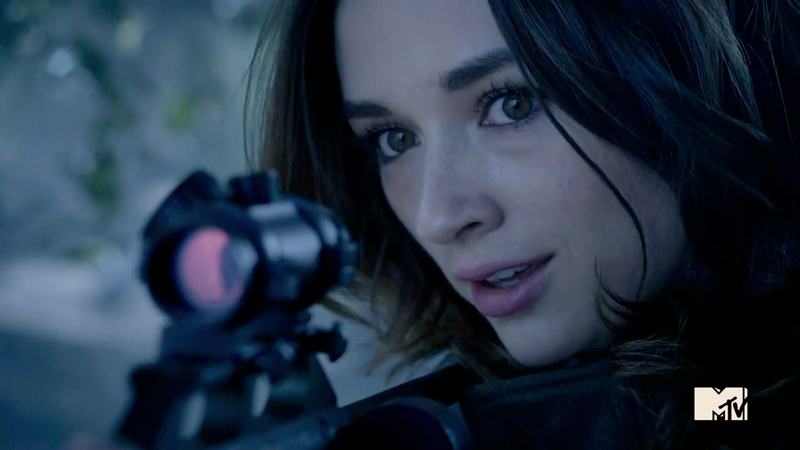 What are your thoughts about Crystal Reed returning to Teen Wolf as another character? Do you think bringing Allison back would’ve been disrespectful to her noble death? Let us know!